Cristian Carvajal Carvajal Is a so sweet album..i love the atmosphere of this series Favorite track: Dawn III. Jean-Patrice Remillard Lush melodies and textures. I play this in shuffling mode all evening and it grace my place with peaceful vibes. Favorite track: Sleep Apnea Syndrome. 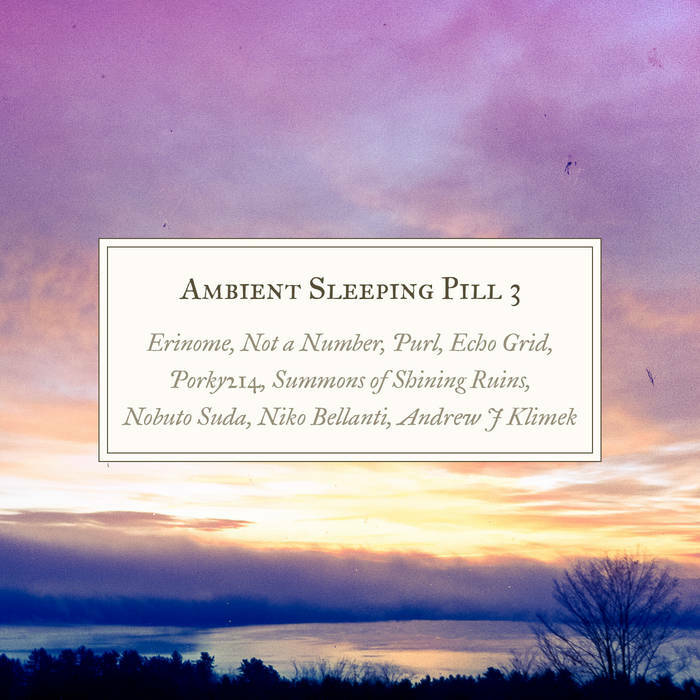 Brian Bourassa Andrew (Ambient Sleeping Pill's compiler and master'er) does an amazing job at finding some of the most effective works for this series. In my opinion, he's hit bulls-eye's 3 out of 3 times. 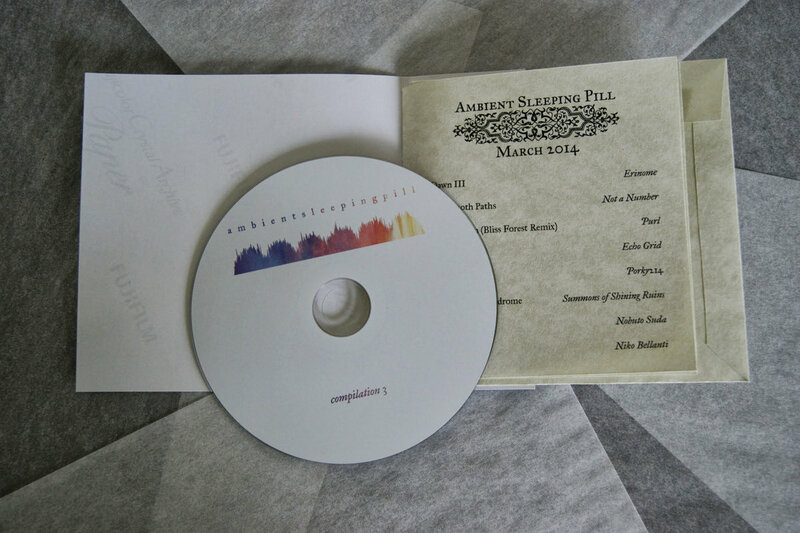 Proceeds go directly to the expenses of running the radio stream ambientsleepingpill.com and purchasing the music we play there. 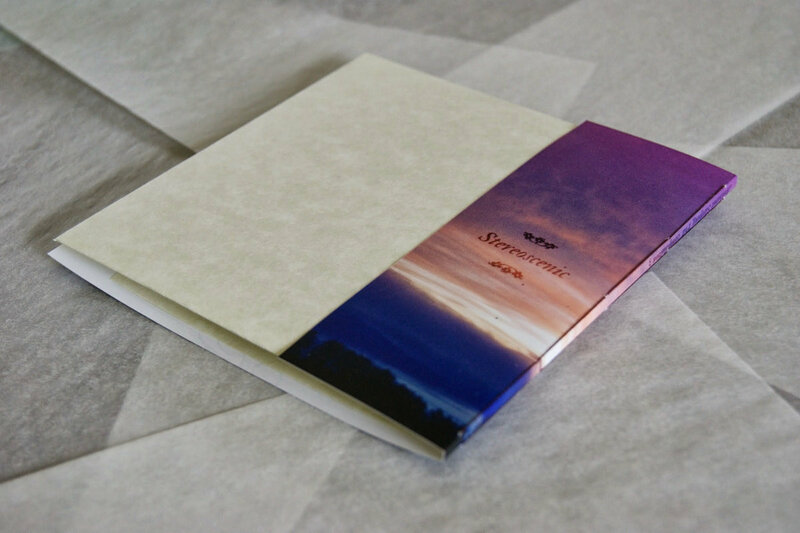 Folded 5"x 7" photo print, sewn to a thick parchment sleeve with thread waxed by hand. Includes unlimited streaming of Ambient Sleeping Pill 3 via the free Bandcamp app, plus high-quality download in MP3, FLAC and more. With very little ado, “Dawn III” plunges straight into a softly-distorted hazy grandeur. With “Mammoth Paths” Sadowski shares that he was trying to depict the long, blissful journey of a glacier, as inspired by Jacek Dukaj’s novel “Ice.” He has really captured this well, retaining some of the raw power of the sea from the previous track, but adding the frozen awe of this slow movement. “Anticipation” is the perfect name for the next track. Beautiful and hushed, with the occasional note of doubt. Perhaps the glacial journey has come to an end, and we’re left standing in a dense snowstorm. Cimbrelius did not feel this track was complete somehow, but gave it to me to do “anything I feel.” I’ve added some heavy compression to give a flickering, wind-swept feel, and also added some samples of my wife’s singing. “Insomnia” carries us away from the bitter cold, to enfold us in heavenly warmth. It seems we heard echoes of this angelic refrain in the voices during the snowstorm. But then… is this actually playing on an old turntable back home? “St. Paddy’s Daze” carries us off on an epic drift between these two levels, with 19 minutes that trace a graceful line down the loudness scale, ringing on ‘til the last light fades. It is a real joy to be premiering Padula’s work here, who shared this recording with me only because he’s a big fan of Ambient Sleeping Pill radio. I asked Nemoto to create something similar to his quintessential “Melting Loop Trip” which contains some of the best sleep-inducing tracks I have ever heard. It’s pretty difficult to imitate a past work, but he came up with “Sleep Apnea Syndrome” which has the same low rumble and jumbled, muted elements. Deep sleep indeed. Along with the previous track, “Anim” is mixed a bit lower in volume because of its subtle nature. As when you listen to recordings of the wind, higher volumes lessen the realism. Graceful, distant guitar drones with the gentle power of a wind sweeping above the trees or across the ocean. This song is from Suda’s new album “Terminus” on Stereoscenic. As with the previous two compilations, we end with a track that could be a magical dream, or a new morning, or a fresh start. Birds, bells, pianos, choirs… “Bird” is lush and dripping with fantasy. Also mixed lower because of all the crystalline highs, please do turn this track up if you’re getting up from an hour’s nap. 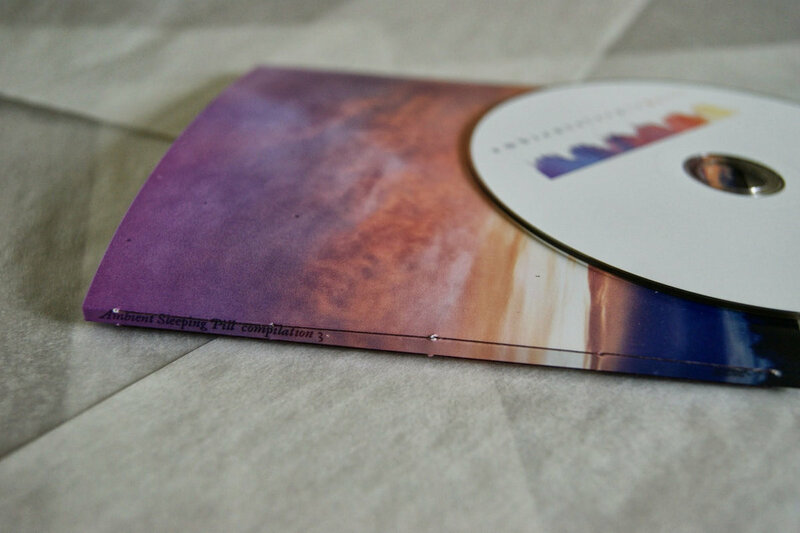 * “Heavenly” is a bonus track included in the digital download from Bandcamp. 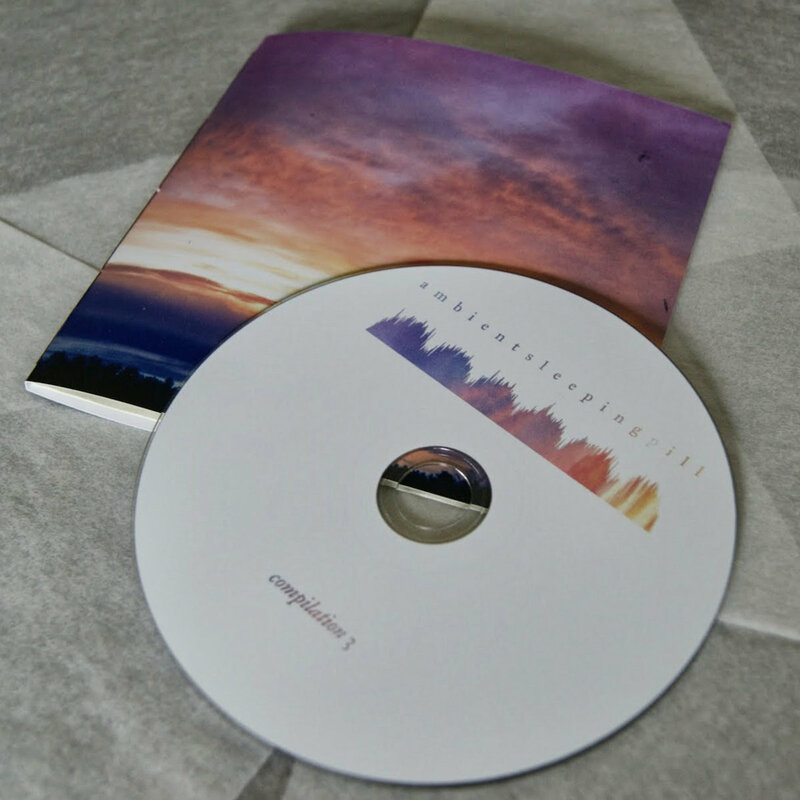 The “Wake Up edit” is an excerpt of a 48-minute single released on Stereoscenic this past month. I’ve added slight processing as well. 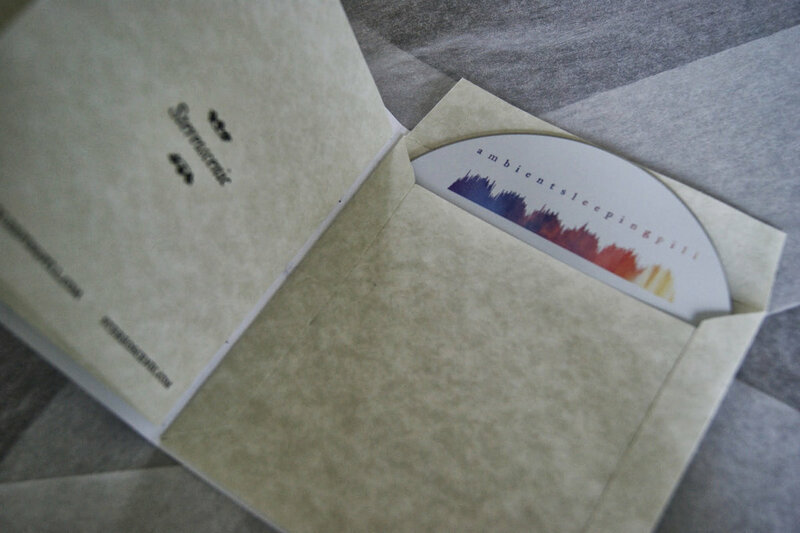 It does not appear on the CD version because it would not fit and is far more suited to waking up than sleeping.